The BEAST Has Over $100K in Prizes! San Jose, Costa Rica – January 23, 2017 – Americas Cardroom is always noisy at the tables, but this week the sounds were a little more ferocious. Today they announced that their weekly point race for cash game players, The Beast, has climbed to over $100,000 in cash and prizes. 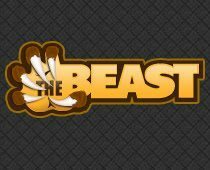 The Beast is Americas Cardroom’s highly popular progressive points race. Funded entirely through the rake generated at the cash tables. The Beast prize pool grows and grows as players play in ring games. There’s no need to opt in, so many players participate in The Beast without even realizing it. The weekly race runs from Saturday at 12am ET until the following Friday at 11:59pm ET. At the end of the period, The Beast’s prize pool is distributed to players who rank on the leaderboard. Poker players who win cash see the money paid into their account by end of day on Monday. Tournament seat wins are paid out on the Sunday following the cash prize payout. The prize pool includes cash and tournament seats. All ranked cash game players will win tournament seats and the top-ranked players will win cash. But it’s not just a handful of players who benefit. This week, around 170 players won cash and tournament seats in The Beast, and hundreds more won just tournament seats. When The Beast first launched, $25,000 a week in cash and prizes was typical. But it has grown by leaps and bounds thanks to a flourishing online poker community. Late last year, Americas Cardroom was part of the top-5 global poker networks in terms of cash game traffic. Today, they sit at No. 2 in the United States.